The Viqua Sterilight Silver Series from Viqua (formerly R-Can), is ideally suited for point of use water treatment to kill bacteria (including coliform and e.coli), viruses, cryptosporidium, giardia, and a wide range of other microbiological contaminants. 6 flow rates available from 1 to 13 GPM. Voltage 100- 130V./50- 60Hz. or 200-250V ./50-60Hz. Sterilight Silver Series from Viqua (formerly R-Can), is ideally suited for point of use water treatment to kill bacteria (including coliform and e.coli), viruses, cryptosporidium, giardia, and a wide range of other microbiological contaminants. The larger Silver Series models, specifically the S5Q-PA, S8Q-PA, and S12Q-PA, can also be used for whole house applications where an economical unit with an average array of features is required. Given its economical price, the Silver Series is a popular choice for homeowners desiring protection against microbiological contaminants as a precautionary prophylactic treatment measure even though their water has not tested positive for bacteria or other pathogen. UV water treatment is an excellent choice to eliminate biological contamination from most home drinking water, whether your home is on a municipal water system or untreated private water system (well, lake water, rain water harvesting etc.). 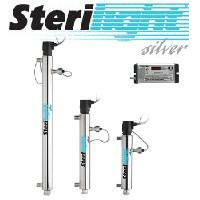 Sterilight Silver Ultarviolet water disinfection is equally at home providing sanitisation to small commercial applications. Its sole purpose is to kill harmful biological contaminants, and therefore should always be combined with other forms of filtration (GAC / carbon block, KDF, or reverse osmosis) for reduction of heavy metals, chlorine, VOC's, and other chemical contaminants. 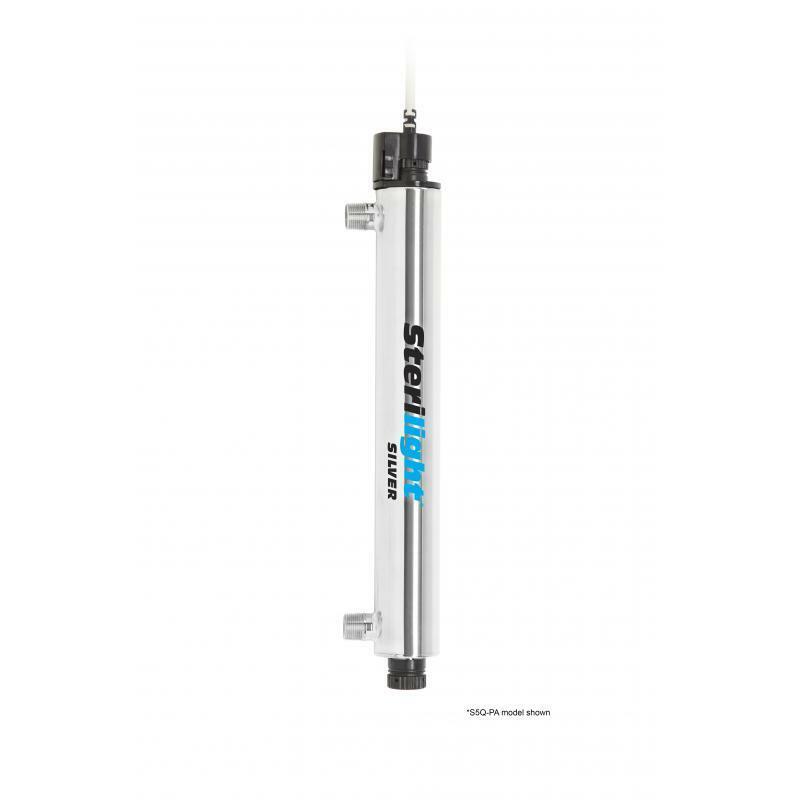 The Sterilight SQ-PA, S1Q-PA, S2Q-PA, S5Q-PA, S8Q-PA and S12Q-PA water disinfection systems carry a seven year warranty on the stainless steel reactor chamber, a one year warranty on UV lamps, and a five year pro rated warranty on all other components.